The website is now up and running for registration to Functional Foods & Edible Oils – The Future, www.foodworks.co.nz/ffoods . Speaker’s biographies and updated programme are also to be found on the website. Early bird registrants (before 21/09/08) get this two day conference for $440 plus $100 for the dinner. Registrations are coming in – numbers are limited so book your place now. It is sad to note the passing in America of Lorenzo Odore whose medical condition and battle by his parents to keep him alive was the subject of the film Lorenzo’s Oil starring Nick Nolte and Susan Sarandon. The condition known as adrenoleukodysophy (ACD) causes damage to the myelin sheaf, a membrane that surrounds nerve cells in the brain. Sufferers accumulate high levels of fatty acids in the brain. These fatty acids were the long chain C22 and C24 carbon chain saturated fatty acids. The treatment that alleviated the condition was carried out utilizing a triglyceride synthesized by Croda Ltd UK. Their technical Director, Keith Coupland presented their paper on specialty lipids at our Oils & Fats Conference in 1997. The triglyceride, trierucin was produced from Colza oil or more commonly known as rapeseed oil. It is interesting to note that erucic acid was bred out of conventional rapeseed years ago to produce the zero erucic acid strain known as Canola oil in Canada. Erucic acid was found to cause harmful lipid deposits in rats. Croda now specialize in specialty lipids for human health and cosmetics. At one time, scientists believed ageing to be not just deterioration but an active continuation of an organism’s genetically programmed development. Once an individual achieved maturity, “ageing genes” began to direct its progress toward the grave. This idea has been discredited, and conventional wisdom now holds that ageing really is just wearing out over time because the body’s normal maintenance and repair mechanisms simply wane. Evolutionary natural selection, the logic goes, has no reason to keep them working once an organism has passed its reproductive age. Yet other researchers have recently found that a family of genes involved in an organism’s ability to withstand a stressful environment, such as excessive heat or scarcity of food or water, have the power to keep its natural defense and repair activities going strong regardless of age. By optimizing the body’s functioning for survival, these genes maximize the individual’s chances of getting through the crisis. And if they remain activated long enough, they can also dramatically enhance the organism’s health and extend its life span. In essence, they represent the opposite of ageing genes–longevity genes. These researchers set out to identify the gene or genes that serve as its master controllers and thereby act as master regulators of an organism’s life span, and if discovered these natural defense mechanisms might be turned into weapons against the diseases and decline that are now apparently synonymous with human ageing. They focused on a gene called SIR2, variants of which are present in all organisms studied so far, from yeast to humans. Extra copies of the gene increase longevity in creatures as diverse as yeast, roundworms and fruit flies, and they are working to determine whether it does the same for larger animals, such as mice. They first discovered that SIR2 is a longevity gene by asking what causes individual baker’s yeast cells to grow old and whether a single gene might control ageing in this simple organism. To cut a long story short, the performance of these genes was found to be affected by certain antioxidants such as resveratrol. Resveratrol has been touted as an anti-ageing therapy since 2003, when David Sinclair, a Harvard Medical School pathologist and co-author of the current study, found that the life span of yeast could be extended by up to 60 percent when treated with the molecule. The same effect has been replicated in worms, flies and fish. In the case of obese mice, Sinclair observes, resveratrol increased insulin levels while decreasing glucose levels, resulting in healthier liver and heart tissue when compared with obese mice that did not receive treatment. “After six months, resveratrol essentially prevented most of the negative effects of the high-calorie diet in mice. Consuming a traditional Mediterranean diet, rich in fruit, vegetables, olive oil and fish, may reduce the risk of developing diabetes by a significant 83 per cent, says a new study. The SUN study, (Seguimiento Universidad de Navarra, or the University of Navarra follow-up), involved 13,380 graduates with no history of diabetes. All the subjects completed a 136-item food frequency questionnaire to give the researchers vital information on their dietary habits. Follow-up questionnaires were completed every two years. Over 4.4 years of follow-up 33 new cases of type-2 diabetes were documented. On the ten-point scale of Mediterranean diet adherence (0 to 2 for low adherence, 3 to 6 for medium, and 7 to 9 for high adherence), the researchers found that people with the highest adherence were 83 per cent less likely to develop type-2 diabetes than those with the lowest adherence. Moreover, a two-point increase on the adherence scale was associated with a 35 per cent reduction in diabetes risk. The study is published on the British Medical Journal‘s website bmj.com. The Med diet, rich in cereals, wine, fruits, nuts, legumes and whole grains, fish and olive oil, has been linked to longer life, less heart disease, and protection against some cancers. The diet’s main nutritional components include beta-carotene, vitamin C, tocopherols, polyphenols, and essential minerals. It is these antioxidants and polyphenols that appear to offer protection, suggest the researchers from Columbia University. Greater adherence to a Mediterranean-style diet could cut the risk of Alzheimer’s disease by 68 per cent, suggests a multi-ethnic study from the US. Although the mechanism of Alzheimer’s is not clear, more support is gathering for the build-up of plaque from beta-amyloid deposits. The deposits are associated with an increase in brain cell damage and death from oxidative stress. 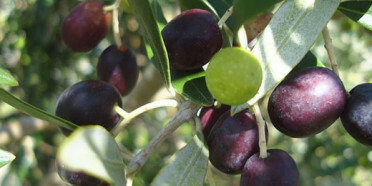 It is against the oxidative stress that the Mediterranean diet could offer protection. The findings of Nikolaos Scarmeas and his colleagues, published on-line ahead of print in the Archives of Neurology (doi: 10.1001/archneur.63.12.noc60109), are based on results from a study of 194 Alzheimer disease (AD) cases (average age 82) and 1790 non-demented controls (average age 76). The controls had almost equal representation of White, Black and Hispanic subjects, while 59 per cent of the AD cases were Hispanic, 31 per cent Black and 9 per cent White. The 99th AOCS Annual Meeting & Expo was a mixture of technical programs, an expo featuring about 90 exhibiting companies and social events. There were about 72 technical sessions offered by the 12 AOCS Divisions (Agricultural Microscopy, Analytical, Biotechnology, Edible Applications Technology, Food Structure and Functionality, Health and Nutrition, Industrial Oil Products, Lipid Oxidation and Quality, Phospholipid, Processing, Protein and Co-Products & Surfactants and Detergents), which included oral and poster presentations and Hot Topic symposia. A highlight of the meeting was the AOCS Business Meeting and Awards Recognition Breakfast. AOCS President Philip Bollheimer gave a brief address, followed by passing of the baton to the new AOCS President Casimir Akoh. Many society, scientific, division, section, best paper and student awards were presented. During the Annual Meeting, research talks from the award recipients were given. I was one of the AOCS Honored Student award recipients. My talk entitled “Synthesis of Phenolic Lipids by Lipase-Catalyzed Transesterification and Evaluation of Their Antioxidant Activity” was given during the General Health Nutrition II session. Rodney J. Mailer of Australian Oils Research Laboratory won the Timothy L. Mounts Award for research accomplishments relating to the science, technology, or applications of edible oils or derivatives in food products. His award lecture was “Development of the Australian Olive Industry” in the General Edible Applications Technology session. “Regional Approaches to Extra Virgin Olive Oil Quality” was one of the Hot Topic symposia organized by the Australian Olive Association Ltd. This symposium presented the latest research on the natural variations in the regional chemistry of olive oil from several regions of the world including Europe, Argentina, Australia, New Zealand and South Africa. In addition, new developments in chemically describing olive oil quality, proposed new methods to assist with the authentication of olive oil and an update on the sensory panel analysis of olive oil quality defects and quality were presented. Lastly, I would like to thank the Oils and Fats Specialist Group for a travel grant to attend this AOCS Annual Meeting & Expo. It was indeed a memorable experience. Edited by Frank D. Gunstone, Scottish Crop Research Institute, Dundee, Scotland. April 2008. Hard cover. 213 pages, 45 figures, 28 tables and 553 references. ISBN 978-0-9552512-2-1. Volume 22 in The Oily Press Lipid Library. Price £85 or US$174.